R-E-S-P-E-C-T. Find out what it means to your customers, and you could be well on your way to building brand love. Oath's proprietary study around what drives brand love revealed six key drivers, and respecting consumers made up 11% of the total equation, globally (we covered the other drivers—exceeding needs, building trust, sharing values, setting trends and elevating experiences in previous posts). Respect involves being fair and reliable, but it also means providing unique, personalized experiences--especially when it comes to appealing to different age groups. For instance, Millennials worship innovation, so it's not surprising their love goes to brands who set trends. 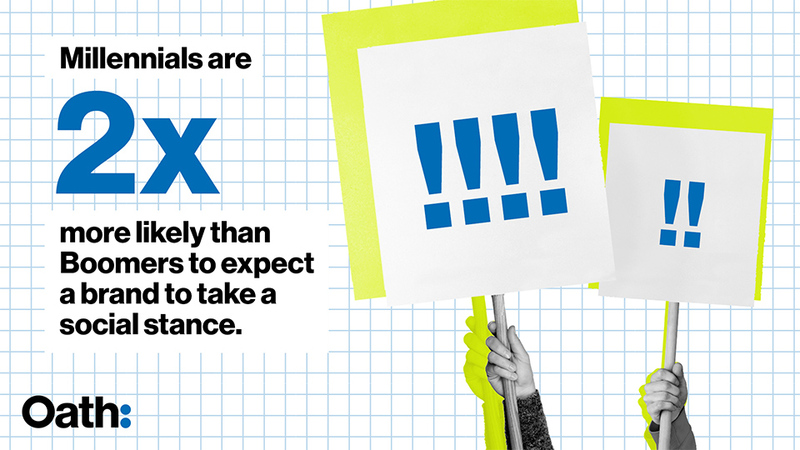 They're also more sensitive when it comes to social issues: Millennials are 2x more likely than Boomers to expect a brand to take a social stance. (Think about brands that do this well, like Toms and Warby Parker.) Respecting this generation means taking risks, keeping things fresh and standing up for what your brand believes is right. Gen X-ers and Boomers, on the other hand, are much more risk averse. They want trust and transparency, 35% more so than their younger cohort. Boomers, in particular, are skeptical about how their data and information are used (Millennials tend to be open books). Oath's research showed that Boomers are 21% more likely than Millennials to agree with the statement, "I feel uncomfortable knowing my personal information is being used by advertisers" (Consumer Data and Privacy Omnibus, US/UK/CA, Oct 2017). So if you're aiming for a more mature crowd, transparency goes a long way. What's one thing that is consistent across generations? They're all on mobile. According to eMarketer (Mobile Phone Users, by Generation - August 2017), 87% of Boomers are mobile users, and penetration for GenX and Millennials is even higher (95% and 97%, respectively). 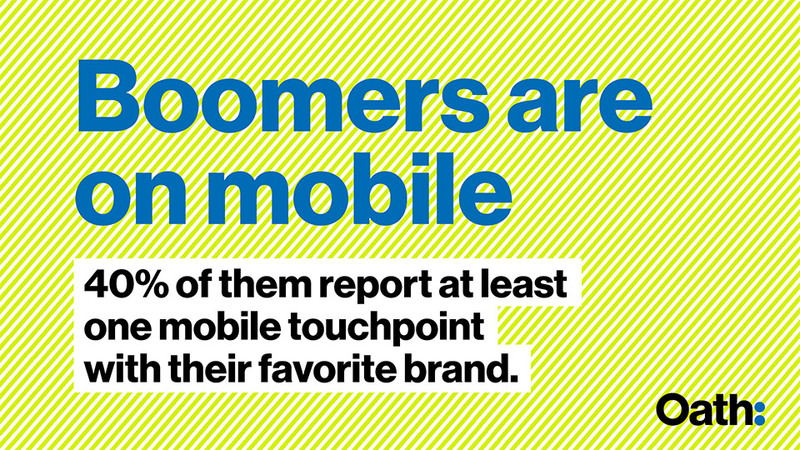 In other words, when thinking about your customized approaches, mobile should be top-of-mind. • Exceed needs as often as possible. It's the driver that generates a lot of brand love from every generation. Love builds brands. What builds love? We've provided the answers over the course of this article series, giving you insight into the six drivers of brand love and recommending strategies that will help you build passion around your brand. Put them to work and your logo might be someone's next tattoo or mobile phone wallpaper. 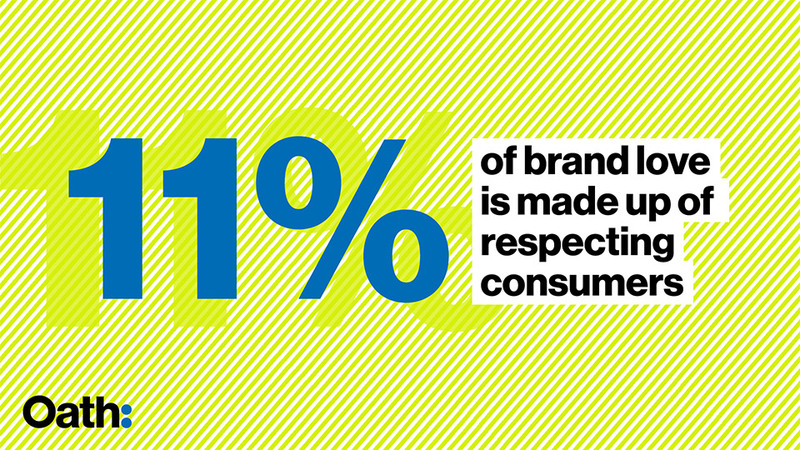 To learn more about brand love, visit love.com, or contact us to see how Oath can help you build it.